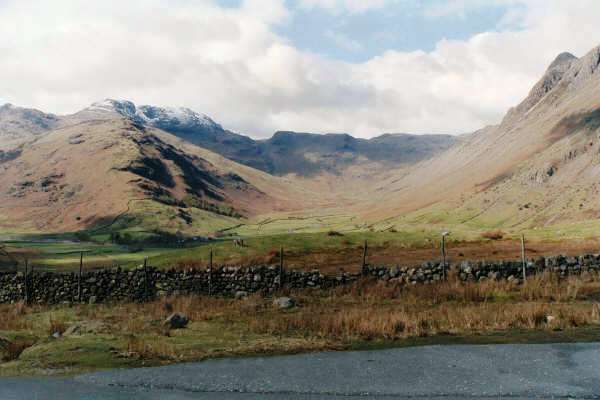 This picture is taken from the very minor road that climbs southwards out of the western end of Great Langdale near the Old Dungeon Ghyll Hotel. We parked about halfway up the slope where the road turned to afford these spectacular views across Great Langdale into the tributary valleys which were almost totally devoid of development. This is Mickleden. The picture was taken from the minor road in the bottom right hand corner of this map between the double and single steep hill indicator arrows.